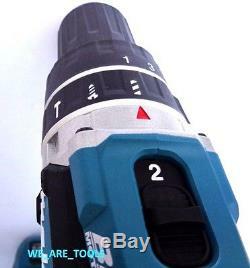 (1) NEW MAKITA BRUSHLESS XPH12 18V 1/2 LXT LITHIUM-ION. INCLUDES BELT CLIP AND MANUAL. 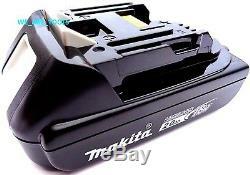 (2) NEW MAKITA BL1820 18 VOLT LI-ION BATTERIES. 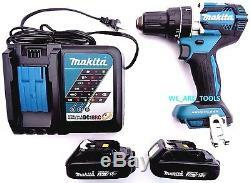 (1) NEW MAKITA 18 VOLT DC18RC LI-ION BATTERY CHARGER. ALL TOOLS LISTED ARE NEW AND NEVER USED. THESE TOOLS ARE NOT FACTORY REFURBS. PLEASE READ SOME OF OUR POSITIVE TOOL FEEDBACKS. NO RETAIL PACKAGE OR CASE INCLUDED. PLEASE SUBMIT A BEST OFFER ONLY IF YOU ARE LOOKING FOR MORE THAN ONE SET. 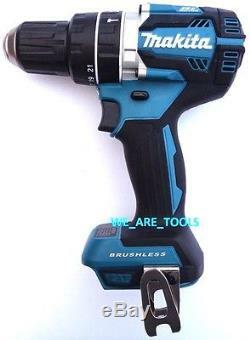 MAKITA XPH12 18V LXT LI-ION BRUSHLESS ½ HAMMER DRILL DRIVER. 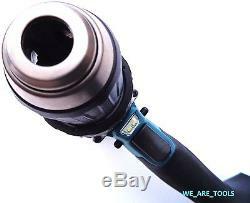 No Load Speed: 0-500 / 0-2,00 RPM. Blows per minute: 0-7,500 / 0-30,000 BPM. Weight: 4.2 lbs with battery. NEW MAKITA BL1820 18V LXT LITHIUM-ION 2.0 AH. 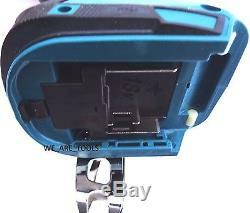 Charging at any time will have no effect on the battery. Built-in shock absorbing features protect the battery. Sixteen (16) firm holding contact terminals reduce the risk of power loss/fluctuation in high vibration work environments. S built-in Memory Chip communicates with the charger to maximize battery life using 3 Active Controls (Current, Voltage & Thermal). More compact and 25% faster than the DC18RA. Charges 7.2 18V Li-Ion and Ni-MH slide style batteries. 120V, INTERNATIONAL CUSTOMERS MAY REQUIRE A STEPDOWN TRANSFORMER. If you ever have an issue with any of the tools you own please see your local dealer. 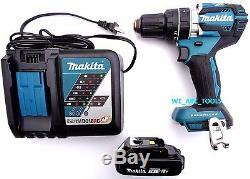 The item "New Makita Brushless 18V XPH12 1/2 Hammer Drill, 2 BL1820 Batteries, 1 Charger" is in sale since Tuesday, March 7, 2017.